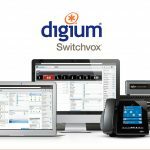 Recently we spoke with Angie Reed, Product Marketing Manager for Digium, who looks after SwitchVox and the just released today, SwitchVox 5.0. Switchvox has been billed as so much more than just an office phone system. It’s a revolution in business communications, putting you in control of your most important asset in business, your voice. 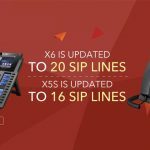 [VoIPon] So, what benefits can users expect when upgrading to Switchvox 5.0? [Angie Reed, Product Marketing Manager for Digium] With SwitchVox 5.0, we’re providing more API for third party application integration. So that is going to allow businesses the flexibility they require. It is really a refreshed user interface that is being provided as well, as well as a refreshed web interface so that customers can find the information that they need when they are looking for SwitchVox information. We’ve also made management simpler and faster. And we’ve incorporated Fixed Mobile Convergence into this particular release. We’re going to provide features that are unlike any other in the market with this Fixed Mobile Convergence implementation. So customers can easily access their phone system from anywhere with the FMC implementation. And not only can they receive calls on any phone, such as a soft phone, a mobile phone, or an analogue phone, they can actually converge up to what we call six phones with SwitchVox. So those six phones all look like they’re a single extension. 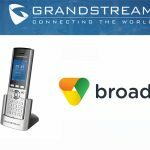 So they can receive calls on that particular phone, but they can also have that single presence or identity on their dashboard, or the switchboard. 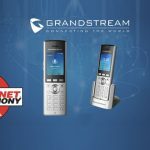 So when they are on the phone, it looks like they are on the phone, their SwitchVox extension, no matter if they are on their cell phone, another mobile device, a hotel phone or a conference phone. 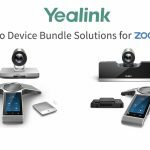 They can also easily transfer calls and record calls, and manage the calls easily with what we call in-call menus that are available on any of those given phones. So we’re not requiring extra licensing or any extra plug on make this happen. [VoIPon] Is there any extra cost or hardware needed for these new features? [AR] As mentioned, there really isn’t any extra cost or hardware needed for these particular features. So they are going to be integrated into the SwitchVox platform, when customers have the latest version available, if their systems are active, they’ll be able to easily download that and have those features automatically with SwithVox. [VoIPon] When is the product going to launch? The product is going to be announced June 6th. So at that point, customers can go into their units, and they can look for an upgrade, and they’ll be able to see the software available for their SMB or small to medium business units for SwitchVox. [VoIPon] Fantastic, so what led to these upgrades? [AR] Really, our customer feedback led to these upgrades. The concept of unified communications has been promised. And productivity is obviously something that people mention when they think of UC solutions, and sometimes it’s been less than impressive and our customers have provided us that feedback. Mobile workers need to have just as many features as they have in their office when they’re on the road, and we wanted to provide those features and that type of implementation with SwitchVox version 5.0. So with other UC platforms, they have trouble upgrading the network sometimes. And they’ve mentioned that it’s often costly. They have to upgrade their hardware to make these solutions work. And it is expensive and often times it requires additional applications. So we wanted to take away that complexity and provide a very easy to use solution. And so we’ve made that available, not only with the fixed mobile convergence implementation but also with the way we can further integrate with third party business applications. And so based on our customer feedback, that’s why we’ve implemented these features. [VoIPon] What is next for Switchvox and the industry in general? [AR] We keep seeing UC momentum taking off in areas of collaboration and integration. So we even see social media types of integration as a driving force in communications today. Switchvox will continue to evolve in that direction. So look for further API integration, and providing a complete solution for the ways that businesses design their networks —they need to collaborate—and how they want to integrate with other applications, whether those are mobile applications, social media applications or even other business applications with their phone system. As always, we keep the “Open” definition in mind when designing products to make them easy to use and easy to integrate with other networks. Requiring types of features that customers need, but are not going to require any additional licensing or add-ons for those types of features, so we want to make it accessible to ways that customers are using their networks today and their communications, and we want to make it really digging into the applications that they have at hand. Thanks Again for your time today Angie. Angie Reed is the Product Marketing Manager for Digium. Customers will be able purchase SwitchVox 5.0 through vendors such as VoIPon. 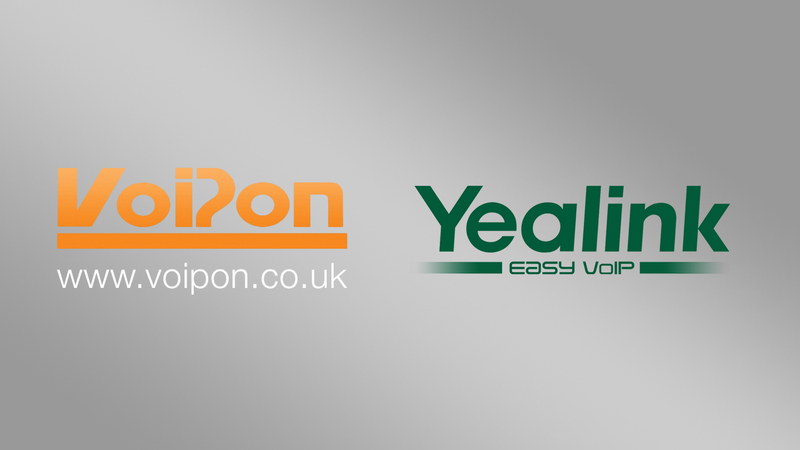 For more information, please visit www.voipon.co.uk.